I took this photo long time ago, I had to work in two different races in the nearby circuit of Paul Ricard and I had two free days between them and I decided to visit the surroundings. It was a great decision, the circuit is located in the "Côte d'Azur", a beautiful coastal French region that is totally worth visiting. 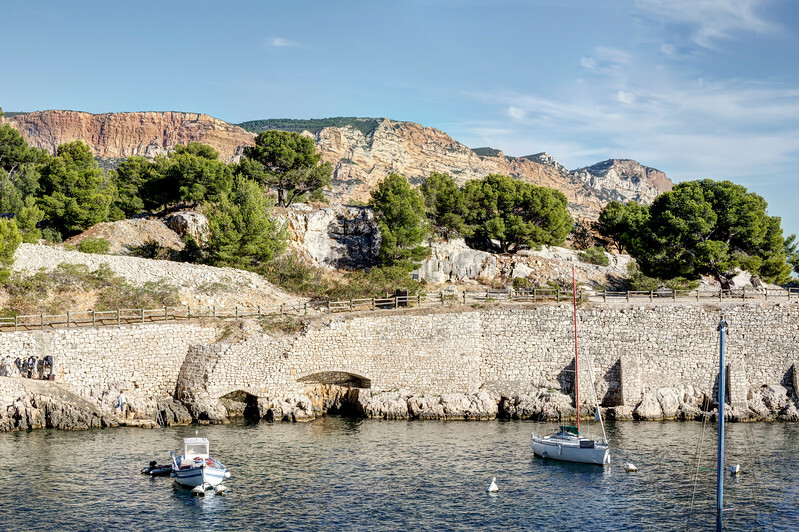 This photo is from an inlet called "Calanque de Port Miou"; it is very long and narrow; perfect for establishing a marina. In fact, the inlet is about one kilometer and a half.